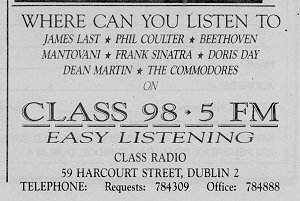 In this aircheck from 30.08.88 Teena Gates announces Liberty 104 and reads the news. Teena can still be heard reading news on radio in Dublin today. You can hear jingles from LLCR here. 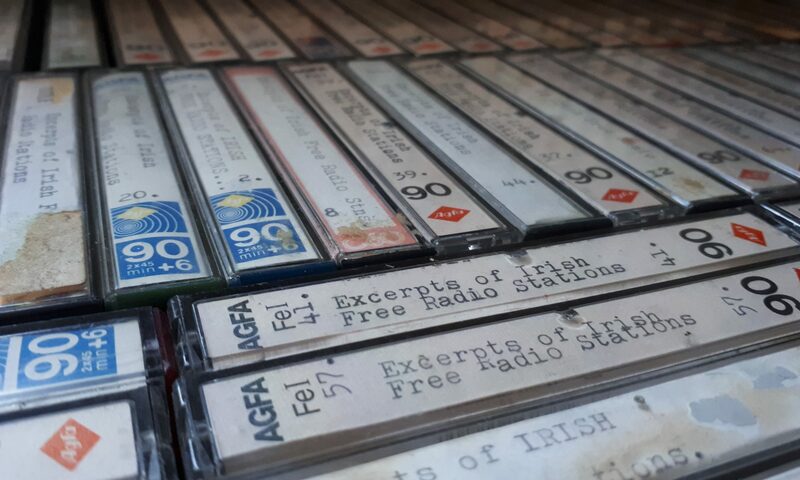 CAU FM was a short-lived station broadcasting on 103.5 FM from Foxrock in south Dublin from the summer of 1987 until the summer of 1988. Although more a hobby than a commercial station, it had a professional sound and slick jingle package and was run by Locky Butler who still works professionally in audio and sound recording. This is an aircheck of a longer recording from 1988 (unfortunately we have no date) featuring Locky Butler on air.